Local and long distance, packing, storage and more. Trust your move to experts. Make your move easy. Call experienced local and long distance relocation experts! Moving services for homes and businesses. Get started today! Our clients choose Bright Eyed Moving as their professional Cleveland movers because we complete moves seamlessly. We are a local and long distance moving company, providing services for your home or business. Start with an easy, free moving quote and consultation from one of our professional move coordinators. Go to our moving services section to plan out the options for your move! Bright Eyed Moving is a locally owned and operated moving company. Our professional Cleveland movers are well trained to make sure you have the most efficient moving service, while protecting your belongings every step of the way. Our moving company provides full service moving options, as well as moving labor, short or long term storage, packing services and more. From the moment you call our Cleveland moving company, we begin a unique process of crafting the details of your specific relocation. Every single move is different! From local moves to long distance journeys, we have done it all for thousands of happy customers. It is our pleasure to serve you! Choosing movers in Cleveland can be a complicated process. After all, you’ll be trusting the selected moving company with all of your belongings! Whether point A to point B is around the corner or across the US – Quality matters most! Step one to finding movers is checking credentials and insurance. Every moving company is required to be licensed with the state. If performing long distance moves (across state lines), a federal ID is required. Insurance is the next step to finding a reputable Cleveland moving company. Moving companies must have proper insurance, including comprehensive liability coverage. Using fly by night movers can turn into a real nightmare due to lack of insurance and accountability! 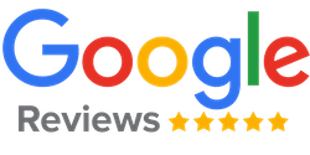 The next step in your search for movers in the Northeast Ohio area is to check out their online reviews and customer feedback. As you can see from our reviews across the web, there are many resources to checking moving company reviews. Seeing multiple occurrences of bad feedback, particularly when it comes to payment and service quality, is a major red flag! Hiring movers isn’t the easiest task in the book – But if you’re in the Cleveland area, we are your crew! Call or click for a free moving quote and let’s make your move a great experience. Select from moving services that fit your move and your budget! Our comprehensive menu of services is perfect for any Cleveland area move, large or small. Opt for the full service route and let us handle absolutely everything – Or select a labor centric option that provides for more DIY and cost savings. We will support you every step of the way! In addition to being trusted Cleveland movers, Bright Eyed Moving also offers onsite, secure storage solutions as well as moving supplies and more. Make your move an easy one! "We hired Bright Eyed Moving for our January move. It was a cold, snowy and overall crummy weather day. BEM and their crew were amazing! They worked quickly and efficiently making our move painless! It took an hour LESS then expected (which was great!) The movers seemed to genuinely enjoy both their jobs and each other and it seemed like they really worked well together. I could not have asked for a better experience. Thank you BEM for everything!" "I can not say enough wonderful things about Jim and Tommy! They did an amazing job packing my apartment and handling everything with great care. They were very kind, respectful,and positive all day and have made a stressful move very very easy. Thank you so much for providing such a service and for using stand up employees. I will also write positive reviews online for your company as well and recommend you guys to anyone I can. Thank you again." "My family is very glad that we chose Bright Eyed Moving for our semi-local move (between cities in Ohio). The crew was conscientious with our items, professional, and responsive to our particular requests (for example, to make sure we had felt pads on our heavy furniture items before setting them down on the newly finished floors in our new home). I got 4 quotes from moving companies before deciding on Bright Eyed, and while they were not the absolute cheapest, I felt that they were the best value for a high quality moving experience. 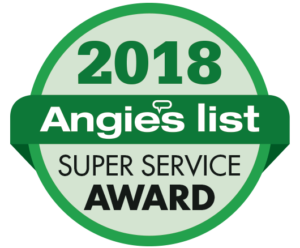 When an unexpected issue arose (not all of our items fit on the truck), it was dealt with quickly, professionally, and at no additional cost to us. We could not have hoped for, or received, better service from a moving company!" Locally owned and operated out of Cleveland, Ohio, Bright Eyed Moving offers a variety of services to fit any lifestyle and relocation need. Whether you’re moving across town or across the country, you can count on us to safely and professionally move your belongings. Local Moving: Moving from Old River Road to Washington Avenue? No problem, Bright Eyed Moving has you covered when it comes to moving across the street or across the city. Our team is prepared to handle everything from packing and loading to unloading and furniture placement, making your move as easy and stress-free as possible. Long Distance/Interstate Moving: At Bright Eyed Moving, we understand that preparing for a long-distance move is stressful. You’re already a bit on edge about leaving behind friends and family, and nervous about leaving anything behind or losing something in the process. Let us take some of that stress from your shoulders and make your moving worries a success story. Our team understands better than most just how daunting a large moving job can be, which is why we work with only the best in the business. Our team is trained on being careful, meticulous, and gentle when dealing with client belongings. When it comes to long distance moving, our hope is that our clients get to focus on the excitement of moving to a new place, rather than the anxiety of getting there. We worry about the small stuff, so you don’t have to. Labor-Only Loading/Unloading: Some families don’t need help moving to a new location, but don’t have the manpower or ability to load and unload the truck. At Bright Eyed Moving, we aren’t focused on doing just one job, we customize our moving experience to suit the evolving needs of our client base. We know that not all clients need the same service, and we’re happy to help with only the parts you need. Whether you require assistance loading and unloading because of an injury, lack of time, or because you just plain don’t want to, we’ve got you covered! We’ll get your belongings in and out, so you don’t have to. Partial Moves: Sometimes we see clients who start the moving process only to realize the job is a little bigger than originally expected. Got halfway there and suddenly realize you could use a hand? We’re on the job! Bright Eyed Moving can help you load up, or unload, or finish a partially started project with no hidden fees or agenda. We’re happy to help our clients get where they need to be, whatever the load. Boxes/Moving Supplies: DIY is becoming popular in everything from household fixes to yard work, so it’s not surprising that many families are taking on part of the moving process. However, despite your truck rental and borrowed assistance of friends and colleagues with the promise of payment in pizza and beer, you still need the right tools for the job. Bright Eyed Moving is happy to supply you with all the boxes, packing tape, packing paper, and other necessities you’ll require to get your furniture, plates, and knickknacks from point A to point B in one piece. Furniture Delivery/Repositioning: Found some new furniture you want to buy, but have no way to get it home? Give Bright Eyed Moving a call. Our team of handy professionals is happy to swing by the store, pick up your new duds and move them to your place. We’ll even get everything organized and positioned where you want it before taking off. Junk Removal: Most of the calls we get at Bright Eyed Moving are for moving families from one place to another, but not every move is straight forward and simple. Sometimes there’s piles of junk that gets left behind, like old tires, outdated water heaters, and musty old couches. These aren’t the types of things you can just leave roadside for civic garbage disposal to take care of, so what do you do? Give us a call! Bright Eyed Moving will help move and dispose of your junk carefully and responsibly. Packing/Unpacking: For some families it isn’t the move that they require help with, but the incredibly daunting task of packing and unpacking. Not everybody knows what to pack with what or how to properly wrap breakables, so they stay intact. That’s why we offer packing and unpacking services to help you get all your favorite things where they need to be safely. Storage: Got everything packed up and nowhere to put it? No problem. Bright Eyed Moving also offers storage opportunities for clients who need a safe place to keep belongings. Whether you’re traveling long-term and no longer need your couch, bed and bookcase, or you’ve recently inherited some beautiful antiques but have nowhere to put them, we can help. Custom Crating: There are some moving projects which require a very specific type of packing, this packing is called crating and usually involves wooden pallet style boxing. If you require crating for your moving needs, Bright Eyed Moving are equipped to help. Contact us today to learn more about our crating services. We serve clients in Cleveland, Kirtland, Mentor, Willoughby, Concord, Highland Heights, Beachwood, Lakewood, Mayfield, Westlake, Chardon, Elyria, Aurora, Ravenna, North Olmstead, Brunswick, Lyndhurst, Bainbridge, Independence, Kent, Hudson, Solon, Medina, Akron, Canton, Lake County, Geauga County, Cuyahoga County, Portage County, Summit County, Medina County, Lorain County, and more. Not sure if your area is covered by Bright Eyed Moving? Give us a call! We’re always seeking out new regions to expand into and new clients to serve. Our experienced team is happy to hear from new and existing customers and will do their best to answer any questions you might have regarding our services and service area.